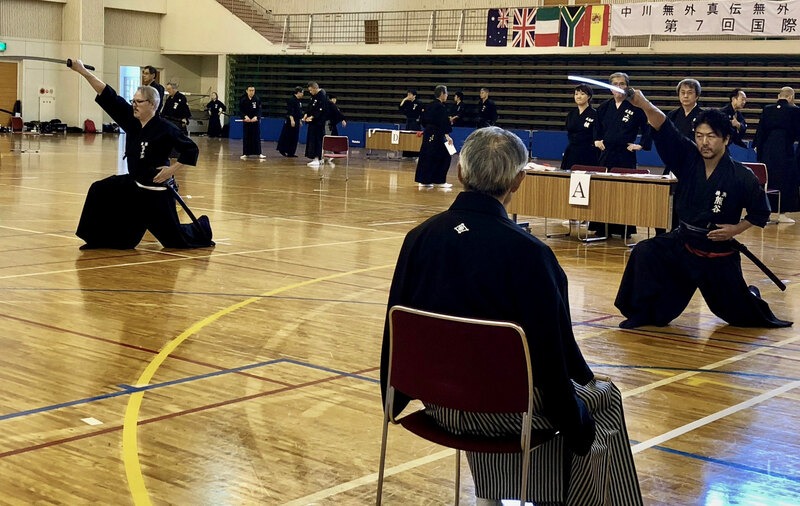 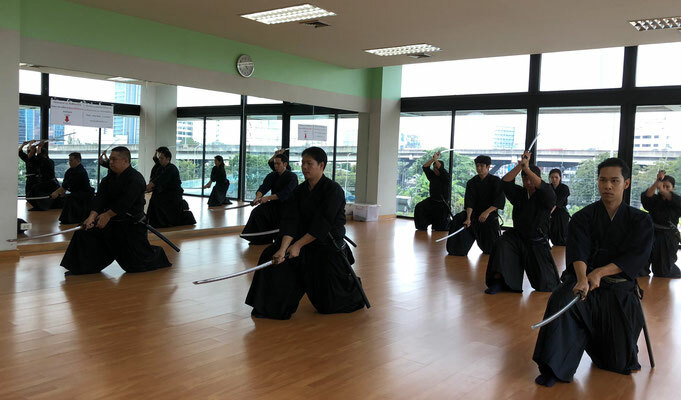 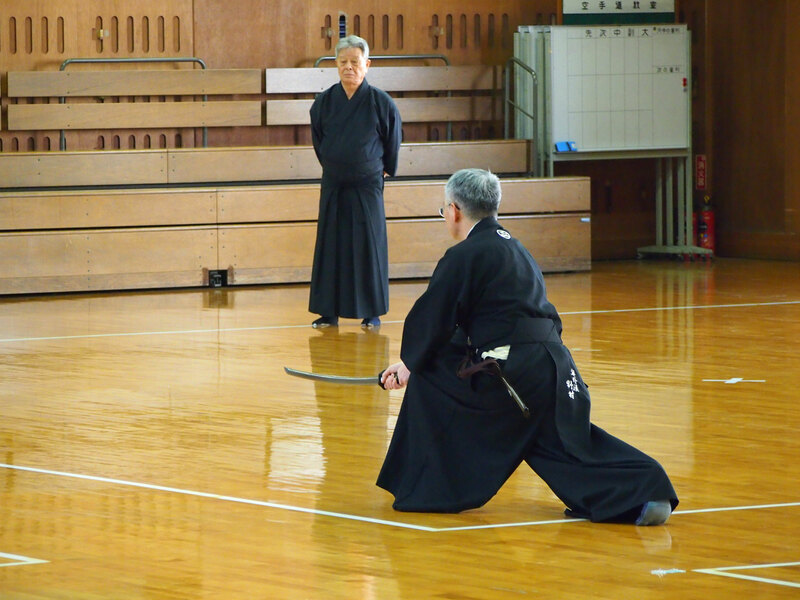 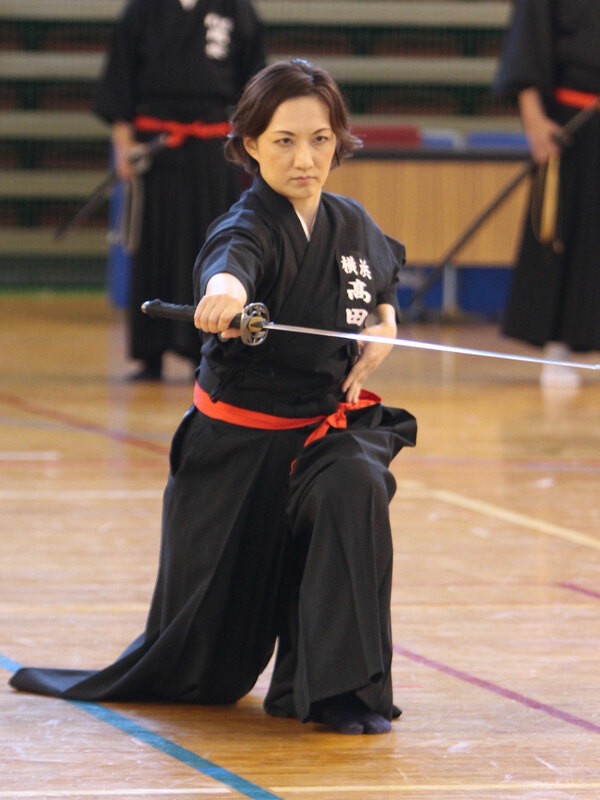 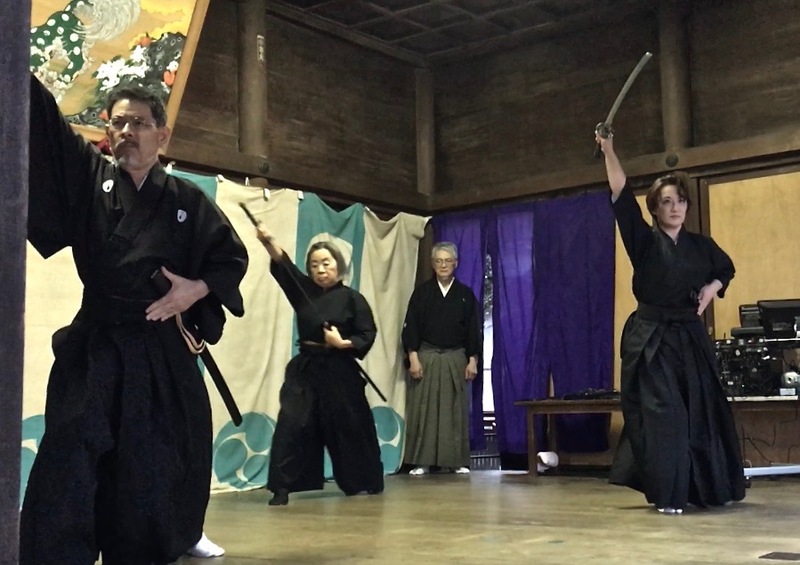 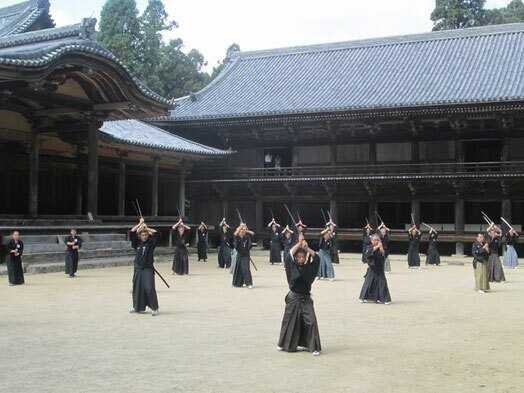 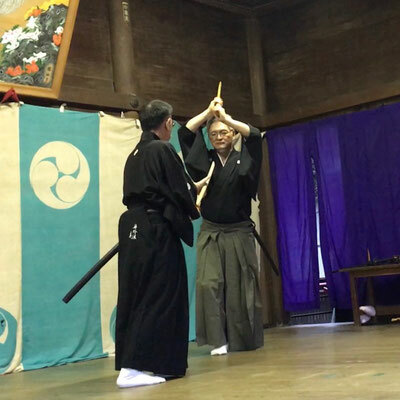 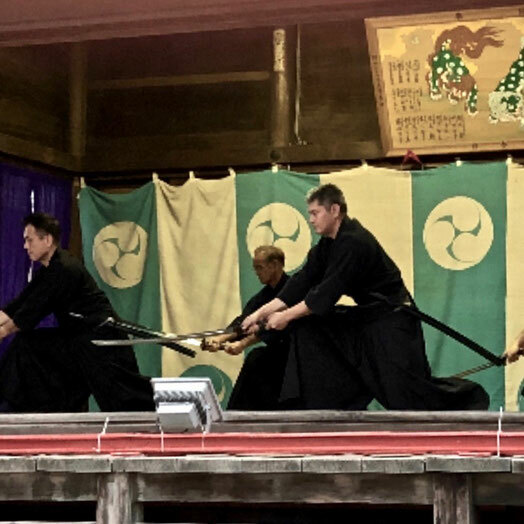 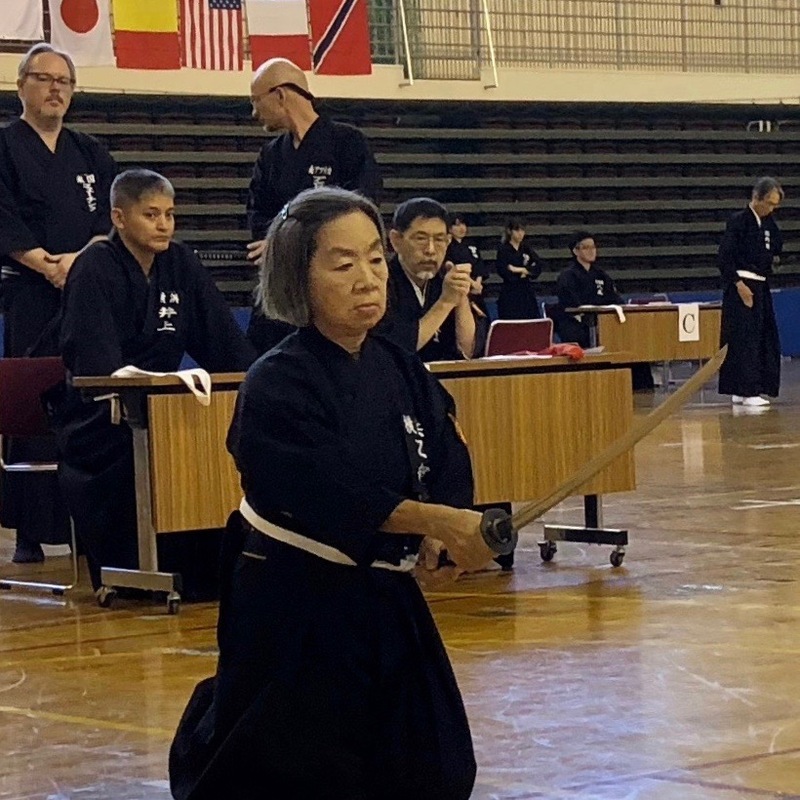 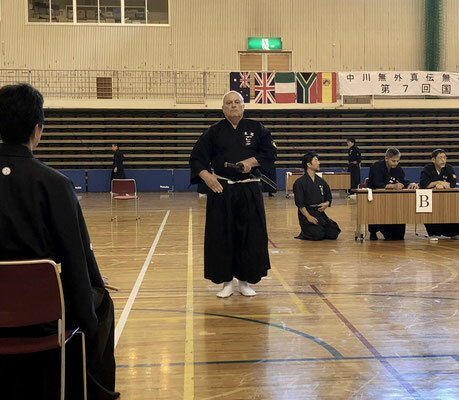 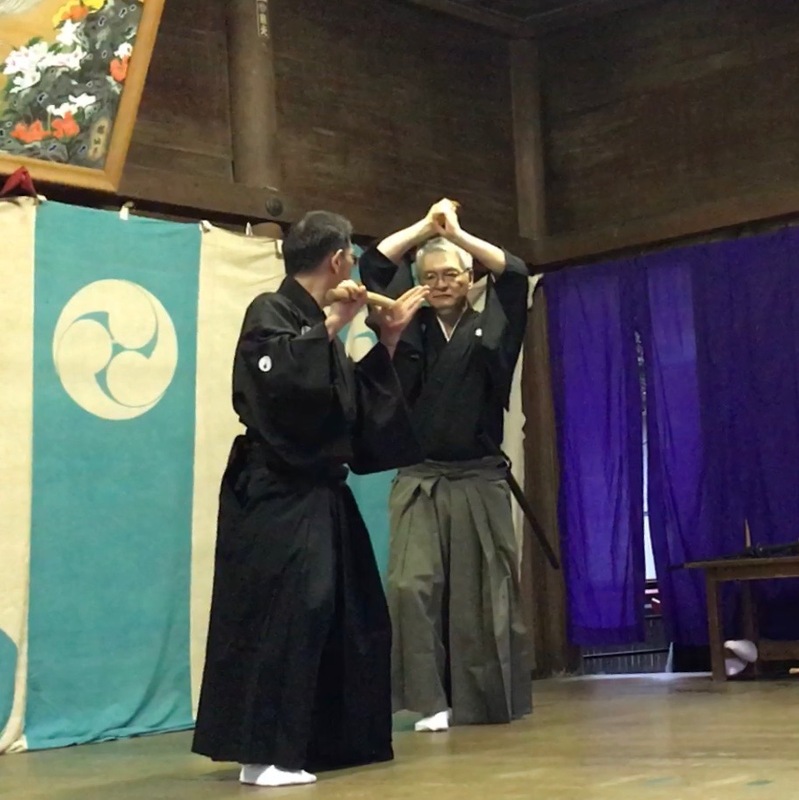 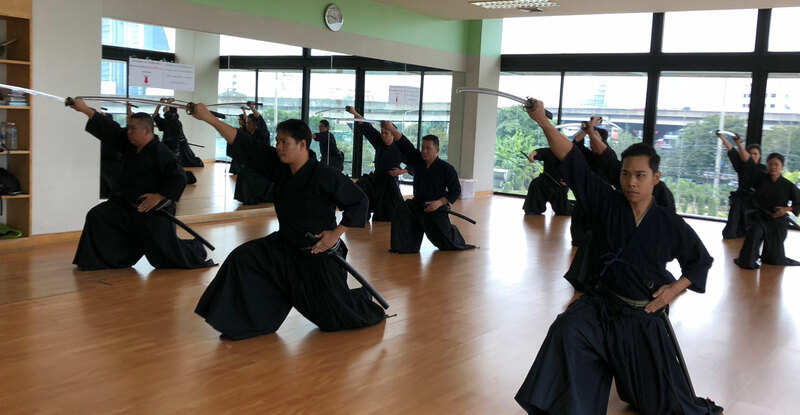 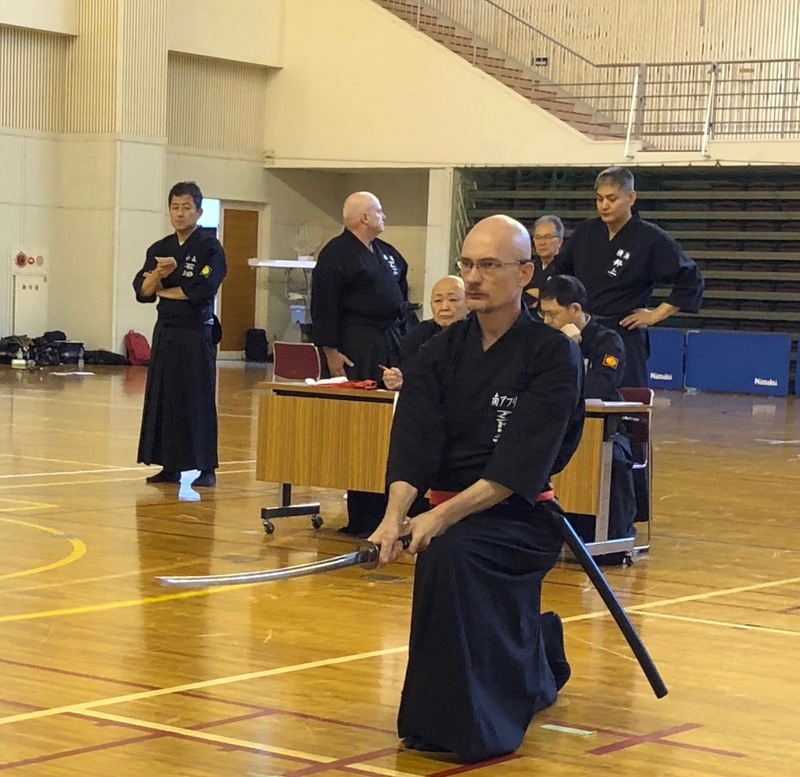 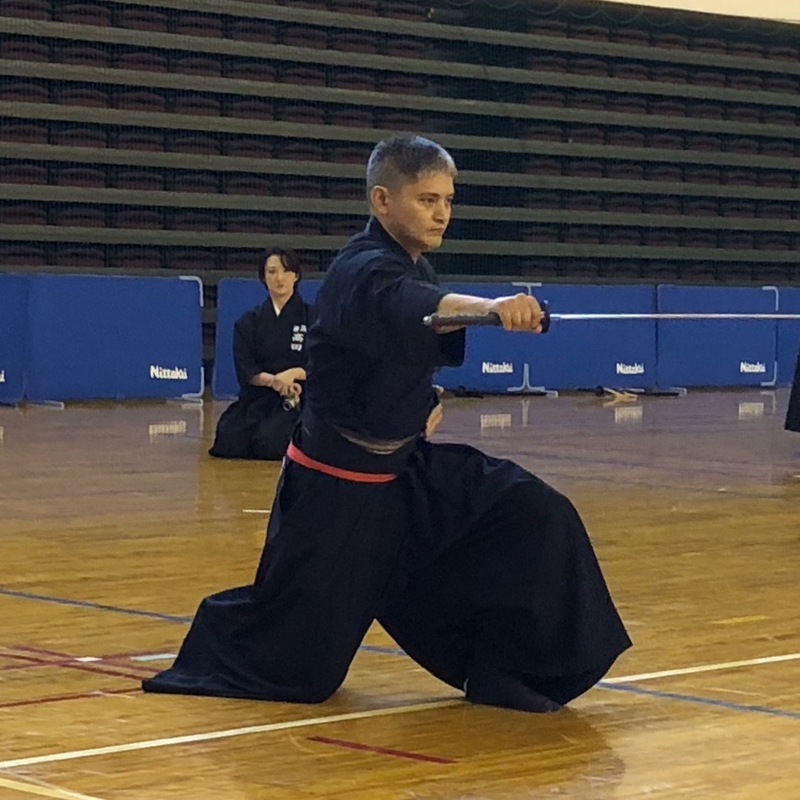 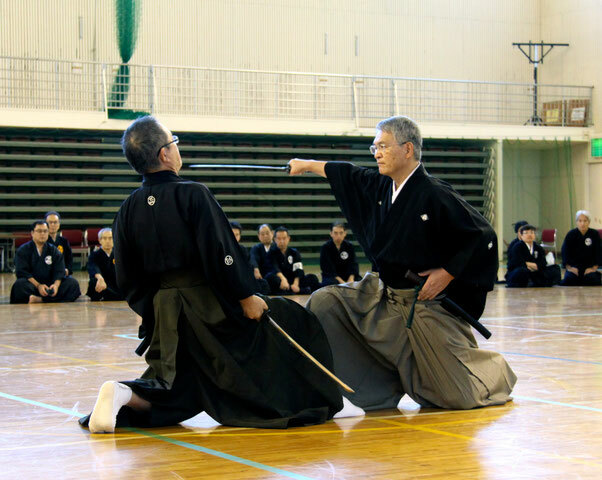 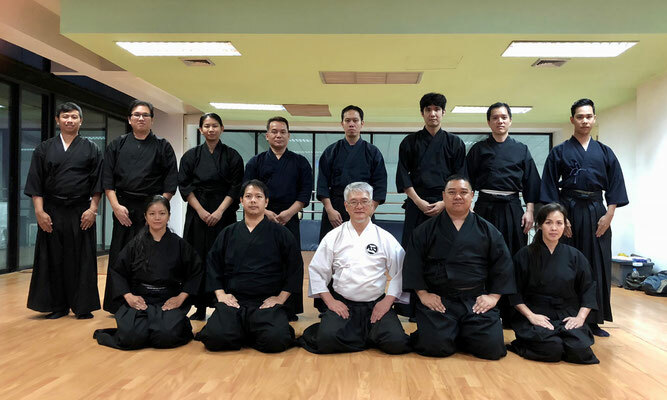 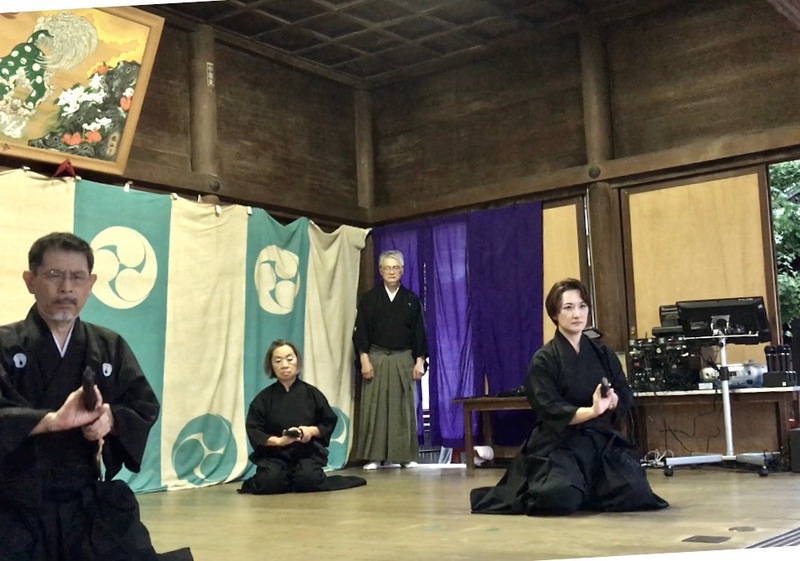 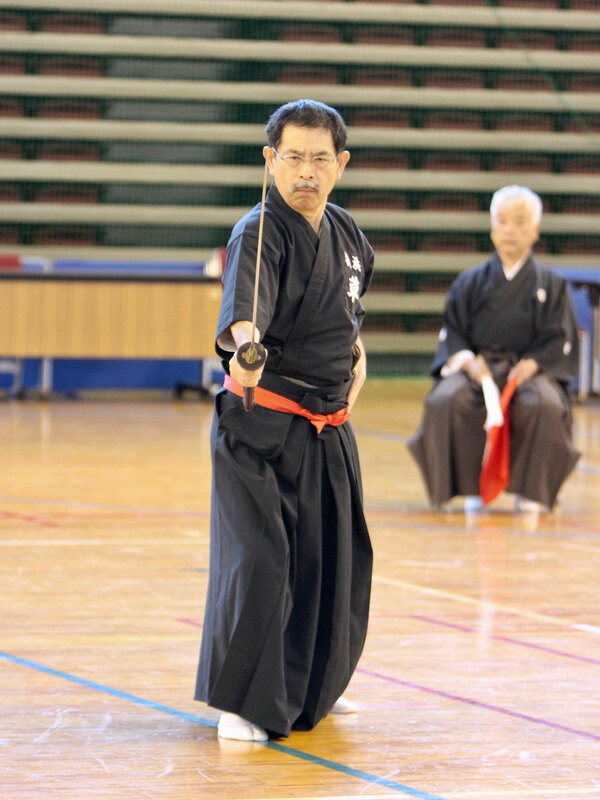 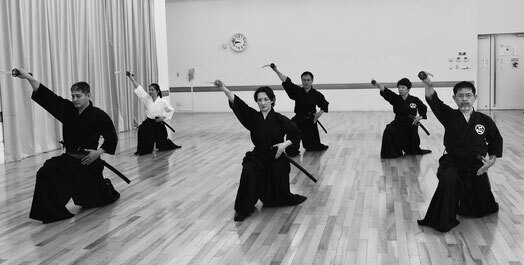 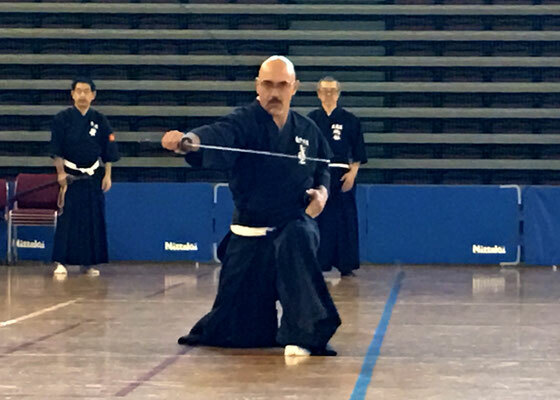 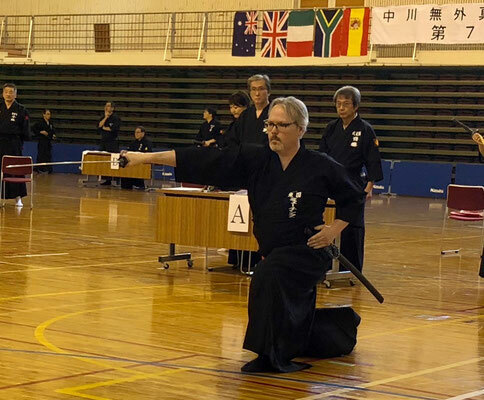 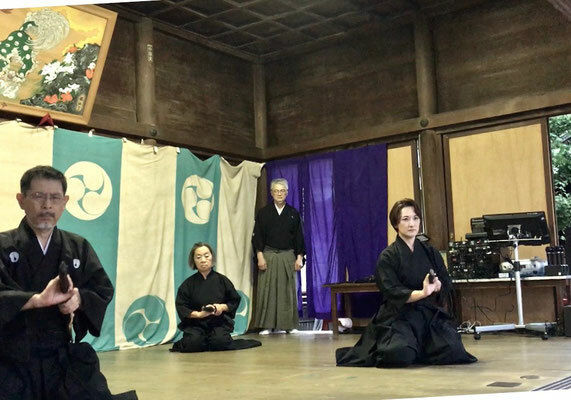 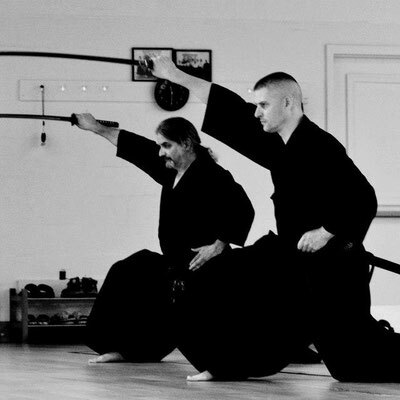 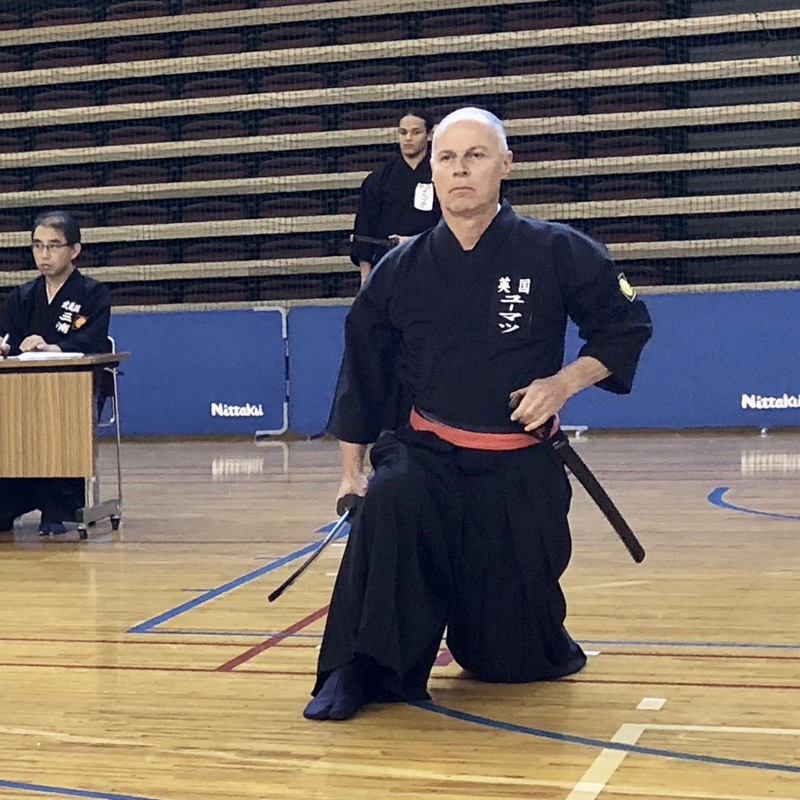 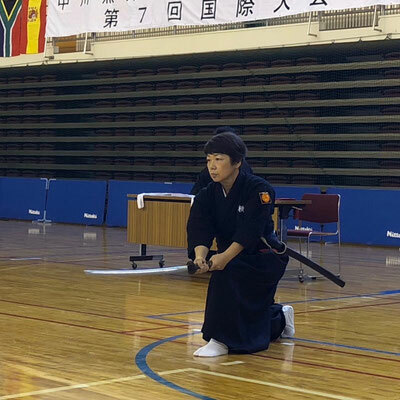 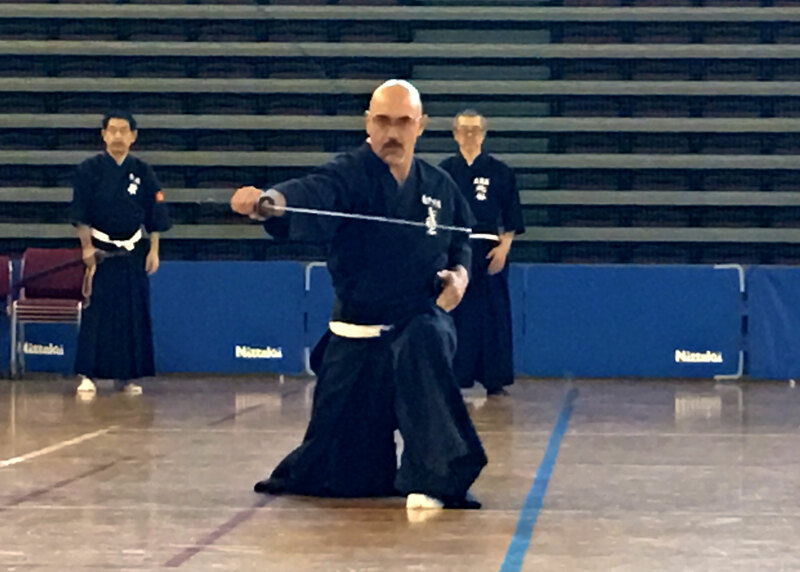 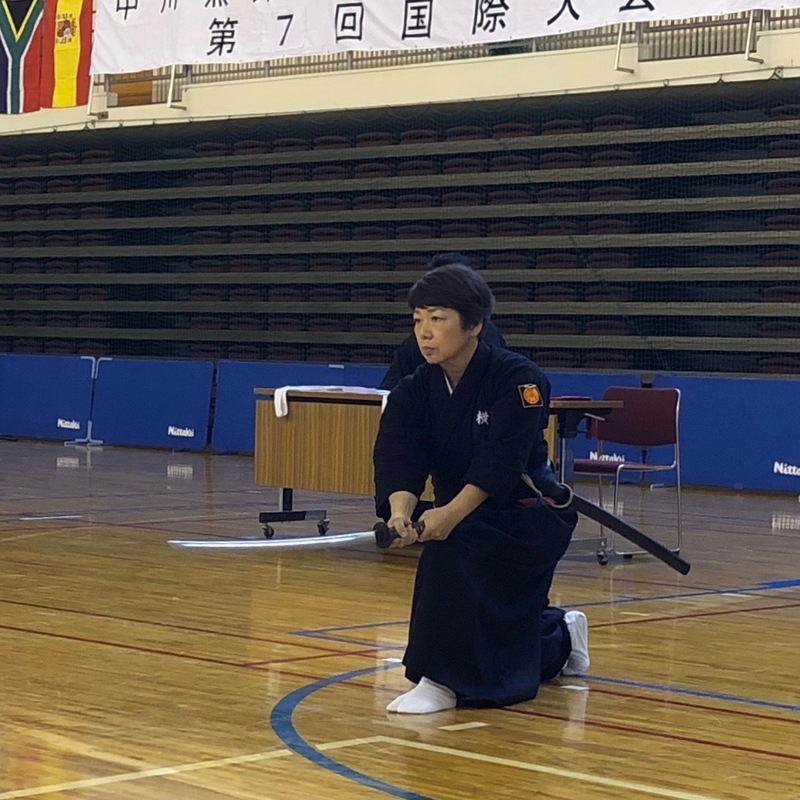 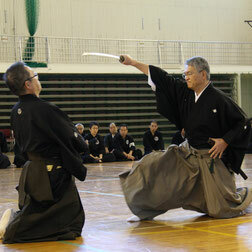 Mugairyu Iai Hyodo consists of 10 ZAGI (sitting forms) , 10 TACHIWAZA (standing forms), 3 Naiden (internal teachings), 10 Iai-no-Kata (5paired form with long sword and 5 paired forms with short sword) , Total 33 techniques. 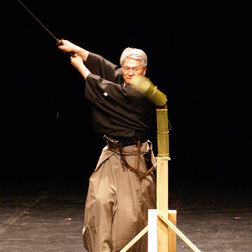 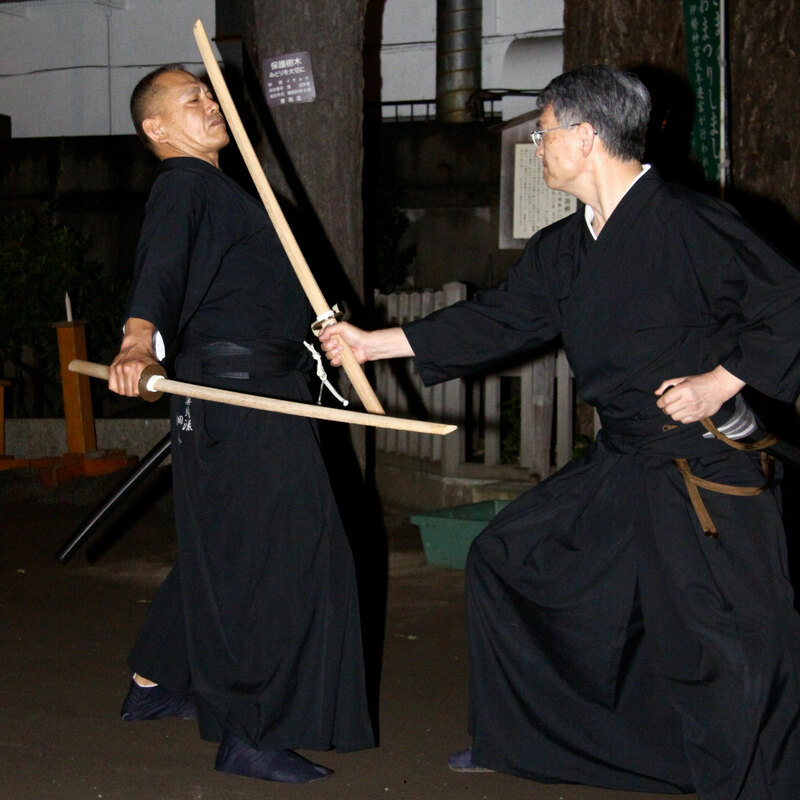 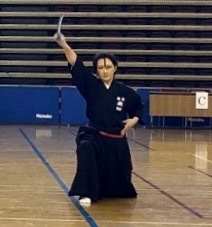 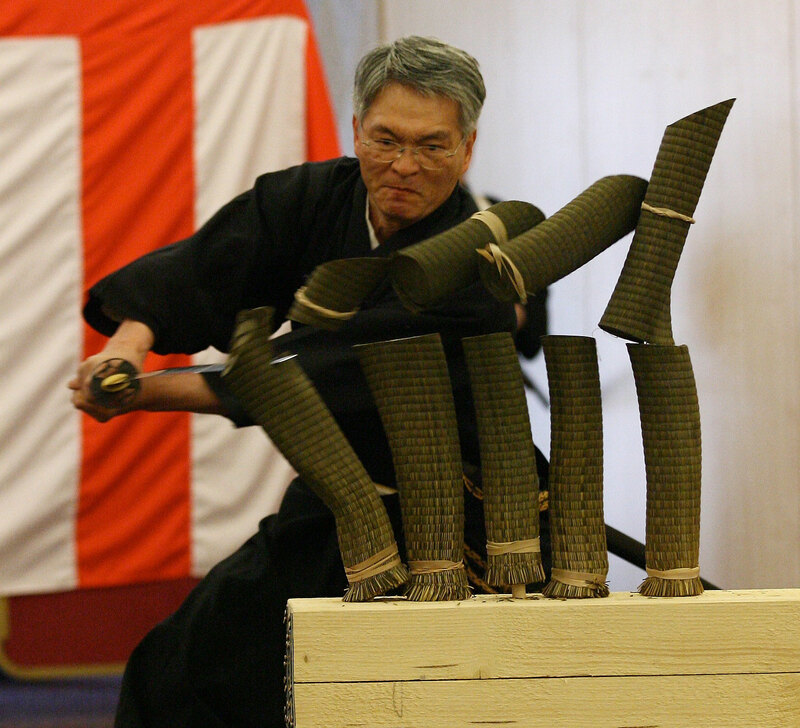 In addition, 3 basic (Kihon) techniques and test cutting (Shizan) are included at Yokohama Mugaikai. 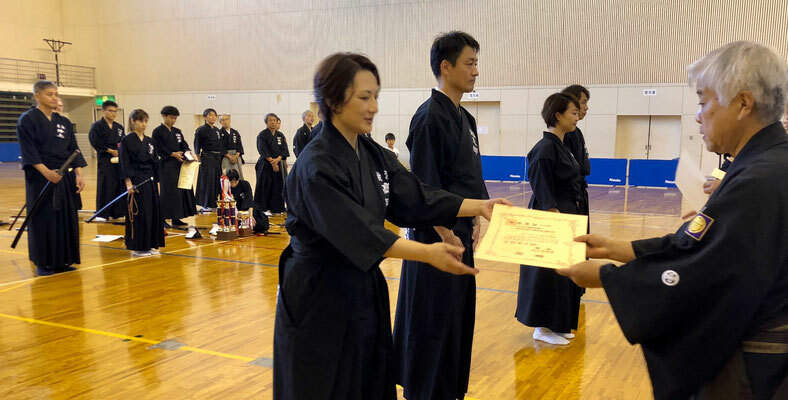 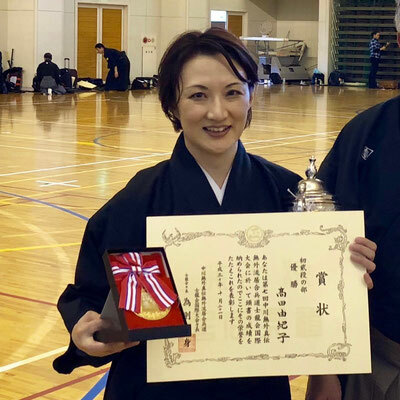 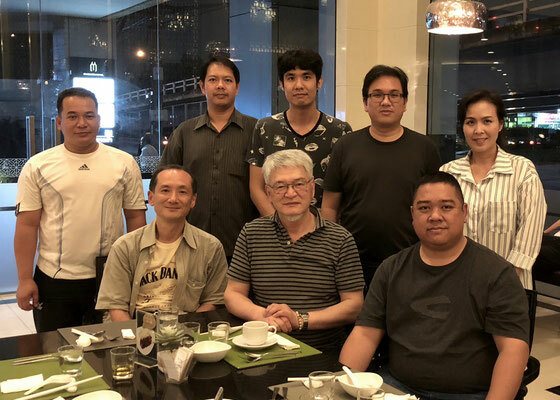 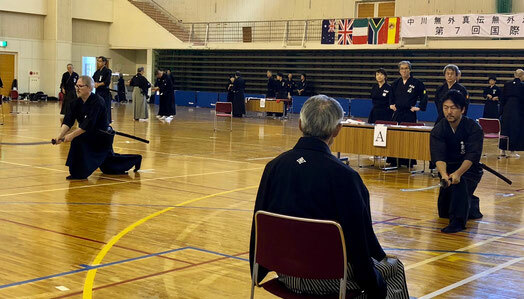 Yokohama Mugaikai and its overseas dojo got first places at the competition of Mugairyu Taikai. To see details, click here.